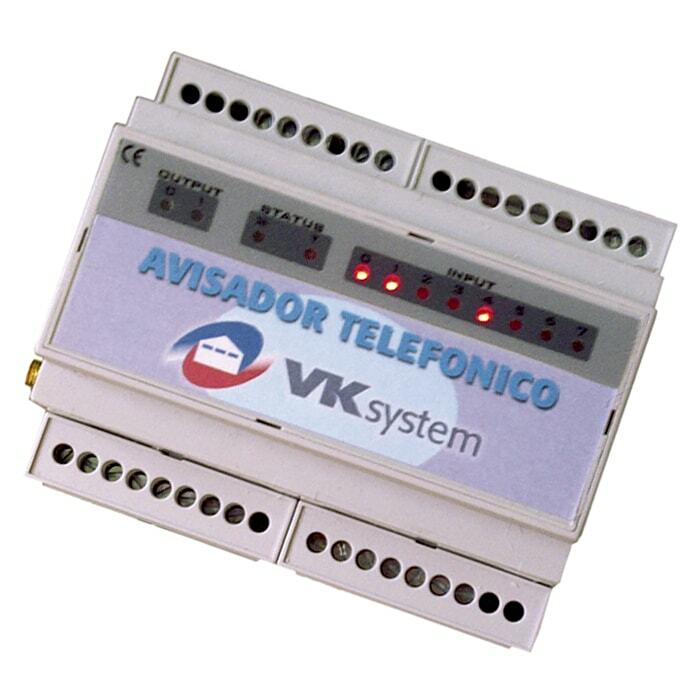 The VK teller is a telemetry and telemetry system based on GSM technology that allows monitoring the status of your farm remotely in a simple and effective. It feeds directly to 220v and incorporates an internal LiPo battery that allows you to operate for several hours without external power. This feature allows, among other things, the computer to report the fault status of 220v network without the need for any accessory, battery or external connection. Its basic functionality is on the one hand the transmission of alarms, temperature or humidity out of range, active digital signals, network failure, etc. And on the other hand, it is also possible to register data (datalogger) of any of its inputs, to send them later by means of GSM or GPRS data call to the control center. To facilitate its installation its encapsulation allows its placement directly on track for standard DIN rail.